Sunday afternoon I sat in my favorite dumpling restaurant in Nanjing. A popular and crowded joint every day at lunchtime, we squeezed into the only remaining seats in the corner next to the front window. Trapped sun beat down my back making me perspire and fan myself as we waited for our food to arrive. Each time we have lunch here, I always seem to find myself in the best seat in the house to watch fellow customers. There is a full spectrum of life and family affairs in this crowded eatery. Last week, a young boy sat across from me curiously and shyly trying to suss me out while grabbing his mother’s sleeve and slurping his soup. His mother carefully cut up his dumplings and asked him questions about how much or little sauce he would want with his food, compassionately and lovingly tending to his needs and whims. Opposite me this week Sunday was an old, gentle and feeble man also eating his lunch of noodle soup. This man seemed to look past me and the world, perhaps reflecting on nothing in particular or perhaps reflecting on a time when he was also a young boy like the one across from me the week before. His son, a man probably in his late fifties, sat next to him and quietly ate his own lunch. They silently and efficiently ate their lunches, oblivious to the hubbub and goings-on around them. No sooner had I started to observe them that the older man finished his soup. His son silently but tenderly wiped his father’s face and his stiff, plain navy blue button up shirt. He then wiped the table where his father had eaten, helped lift his father’s arm and guided him to his wheelchair outside. Like that, they quietly slipped out the door and quickly blended into the crowd among the other pedestrians on the sidewalk. During my time here, I have often admired how strong and unified the family unit is in China. Family and its legacy seem to come first and foremost. It is why you will see two or three generations of family living together under one roof. It is why that entire family will unite behind a pregnant mother, ensuring she gets the best possible prenatal care and then the young child receives the best possible pediatric care and education. It is why young and middle age parents will work hard to ensure their child will get into the best possible school. It is why you will see throngs of devoted parents and grandparents waiting outside school gates, rain or shine, when school is released for the day. It is why parents will push their children to study, study, study even on weekends so that they can then get into the best middle school, high school and university to then hopefully secure a good stable job in the future to then support the next generation of the family. It is why you will see parents and grandparents anxious to see their young adult child courting with the prospect of marriage on the horizon. It is why you will see adult children encourage their elderly parents to retire after years of so much sacrifice to enjoy life with their grandchild and friends in the park. It is why you will see a grown up child so devoted to taking his elderly parent to a dumpling place or for a stroll in the park to enjoy quiet shared moments. Comparatively, modern American society may seem so much more individual-oriented than the family-centric society across the ocean in China. My Chinese students may find it surprising how their peers in the US will frequently never live with their parents again after they graduate from high school. Perhaps it seems strange that young Americans are frequently not expected in this day and age to marry so young and start a family before 30. It may seem completely foreign that some senior citizens willingly work into their 60’s and sometimes their 70’s or spend their golden years traveling and taking up outdoor activities on their “bucket list”. I think about myself and how hard it would be for Chinese parents to swallow having a 38 year old, unmarried daughter with only vague plans of when and how she will settle down and start a family. While it may seem that I or some of my peers from back home live very individual-centered lives, in actuality my family has been and is with me every step of the way through my life journey. Perhaps my family does resemble some aspects of a Chinese family as well. I am so blessed to have had many happy years with my grandparents who like many Chinese grandparents, were like second parents to me and my older sister while we were growing up. They instilled in me important values and mantras to live by such as honesty; fairness; doing right by others; eating and living healthily; living within my financial means; valuing education; having compassion for others; and, yes, finding time, pleasure and intimate moments with family. My own mother also seems to live by the mantra “family first” devoting almost all of her time and life to making sure all of her family members are happy and fulfilled. Throughout my life, my stepfather has often helped me see clarity by listening and then giving me stern, matter of fact advice on not losing sight of my own dignity when I was once spurred by a fleeting love-interest or to not be so overdramatic about something I thought was unfair. My older sister has moved heaven and earth to come see me in several far off corners of the world I have inhabited, always getting right to heart of the matter with any pain, uncertainty or happiness I may feel in my life. My younger sister is so wise beyond her years and I’ve admired how she has grown into a woman who is well grounded and helps others discover the love of nature and simple pleasures in life. I believe that each of my family members is a product of one another. Throughout my life, my family has always been by my side to guide me through life’s transitions. They have helped guide me through difficult times such as my struggle with a career transition or the breakup of a long-term relationship. They have also always been my biggest champions as I have made decisions to move across country or to China or soon to New Zealand. “Go! This is your life!” were the words of my grandparents when I sought their approval to move far away to Seattle in 2005. And while my family has also guided me through transitions, they have each shared with me so many moments that may seem ordinary. I remember my grandmother comforting and soothing me during a thunderstorm when I was a child. Or learning how to swim with my grandfather. Or recently looking through old photo albums with my grandmother as she reminisced about her own childhood, parents and grandparents. These moments have all been permanently catalogued into my memory and will someday be replicated in some form or another again with loved ones. While my life may still seem ostensibly individual-based, I realize it is my family members’ steadfast support and our continued presence in one another’s life that have given me the courage to do the unexpected, to not conform to the norm, and to sometimes seek a path of my own. And while I may be geographically distant from my family, I take comfort in their legacy and lessons they have taught me. I am reminded of their role in my life’s journey even far away in China as I witness ordinary and shared moments between a mother and her young son, grandparents waiting under umbrellas on a rainy day outside of a school gate, parents dropping their children off to college, or a grown man quietly caring for his aging father in his twilight years. 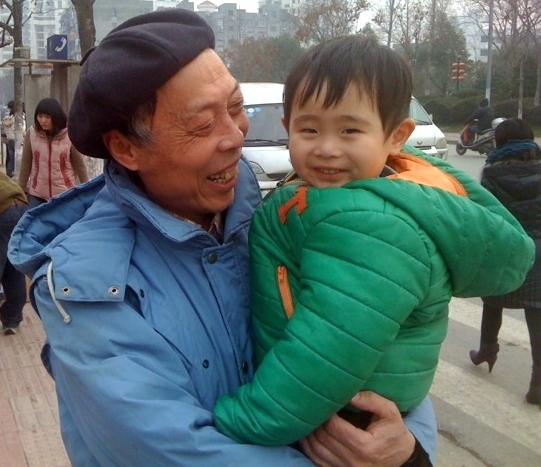 Family matters: Ordinary but meaningful moments between family members in China remind me of my own family. A very heartwarming post which brought joyful tears to my eyes as I was reading it. Especially on the fact that you are so close to your parents and grandparents – and especially in Western society! Even according to the bestselling author Malcolm Gladwell (in his book “Outliers”), there is a significant positive effect from the influence children get from nuturing parents who provide support and guidance. And thus, self-made success stories are rare. Ronian, thanks for your wise, kind and uplifting words. Even in 6th grade, I sensed you were/are a true Mensch. I feel privileged to have had you in my life all these years! Wow, Steph. You brought me to tears this morning. Thank you for this beautiful post. You have really honed in on something I have been struggling to put to words: the magic of those lessons (and love) handed down to us from the generations before us. I realized after reading your post that we have the power to hand down AND improve upon the legacy handed to us. This is the magic and blessing of creating one’s own family. Thank you for sharing this. Sometimes we need reminders that, when we put the fear of losing ourselves aside, what opens up is the opportunity to love more than we ever knew we could. Lauren, I am so moved by your response to my posting. I’ve been experiencing detachment from my life in China of late and have not been inspired to write. This unexpectedly came forth in the wake of my grandmother’s death this week and I found it healing to write about it. I’ve been so moved by your response and insight into this. I am truly blessed to have such a wonderful and true friend like you who has also shaped, comforted and inspired me. Great post. Have you any posts on Western men dating Chinese women? I love to read about them. On my blog, you can also link to the other blogs I follow, many of them written by fellow expat women who have also have some very interesting insights into their lives in China, dating and relationships, as well as being together with Chinese men, a relationship that is much rarer than that of a Chinese woman and foreign man. Hi Lady. Thanks for your prompt reply. I enjoyed reading your posts about modern Chinese dating practices and the related post by Ms. Jakaaksola. She even wrote in her blog “What’s wrong with Western men in China.” See http://sarajaaksola.com/western-men-cheat-in-china/. I was wondering if what she wrote is true that many Western men simply sleep around with Chinese women for a “quick bang” and then break their hearts. What is your experience with Western men in China? Are they wild and loose? Do they easily get the Chinese girls? What I wrote about Western men in China is something I saw a lot when I was a non-degree student and living in the dormitory. Of course there are many good Western men in China too, not everyone is like that. But because of those multiple guys I met and heard their stories, I just had to write it to my blog as well. @ Sara. 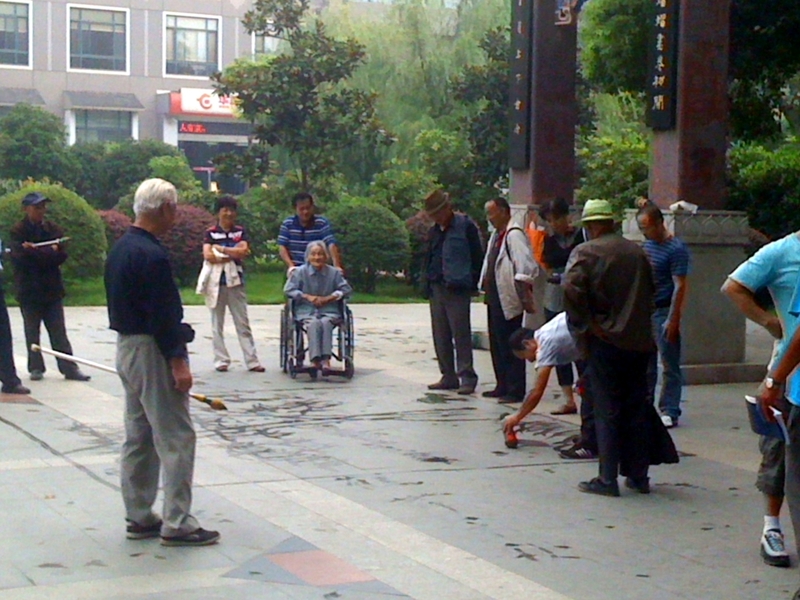 Thanks for reporting your observations in China about the Western men misbehaving. If you have any more funny stories like those, please share them on your blog as I love to hear about Western male and Asian women pairings, as I am a White boy myself with a strong interest in Asian women. I have an ABC girlfriend already, but I love to hear about those stories. Thanks.